There was a terrific piece in Transport Topics recently on National Truck Driver Appreciation Week (Sept. 10-16). The writer, Dan Bearth, pointed out that companies do an excellent job celebrating drivers – during this designated week. What’s needed, Dan states, is a year-long appreciation of the value drivers add. We certainly did our part at KANE this past appreciation week by offering hot breakfast sandwiches, bagged lunches, bagels & cream cheese, personal pizza pies, carnival games with all proceeds benefitting cancer research, daily trivia contests (via Onmitracs), daily raffles, KANE-branded bottle water distributed to all drivers, and giveaway items distributed as drivers started their shifts. It was a busy week for sure. But we also organize events and recognitions throughout the year, such as driver breakfasts, safety milestone celebrations, and sports ticket giveaways. 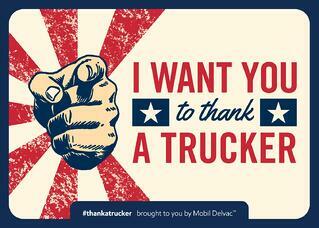 Truck driver appreciation is not just a one-week event at KANE. At many companies, one reason the spotlight avoids truck drivers is that they are simply not around. As the saying goes, out of sight, out of mind. A driver may spend only 10-15 minutes a day at the dispatch window before he or she jumps in a cab for the rest of the day. Since we see them less often, it’s important to go over and above to make them feel part of the family when they return safely home. It seems to be working. Check out our Drive for KANE video. 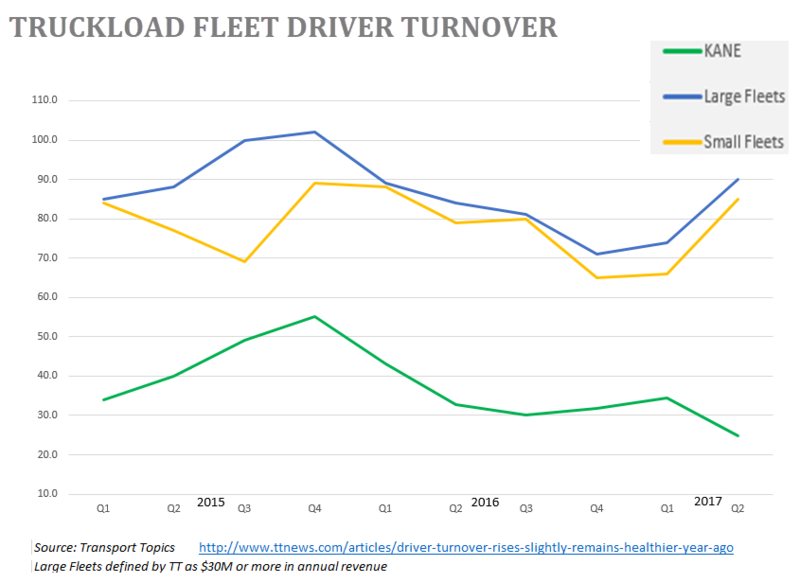 The churn rate for professional drivers (the percentage of drivers who leave a company prior to one year of service) is hovering at an alarming 80%–90% rate. On top of that, the ATA estimates the industry will be short 175,000 drivers by 2024. If ever there was a time to treat truck drivers right and appreciate their efforts every day, it’s now. We make that goal a priority at KANE. Perhaps it’s one of the reasons our retention rate is 82% currently – about 65 percentage points better than other large truck fleets.